Home Music Clubs Does this Man Have The Best Job in Ibiza? Ibiza’s social media channels are never short of people proudly displaying their ‘office for the day’ photos. Whether motivated by genuine joy or sometimes perhaps just showing off, the pure fact is that a huge number of people consider sunshine and sea views as the ultimate in workplace wish lists. So if it feels that good for a day, what must it be like every day? We talked to a man who has a CV that could make the best of us a little green with envy. 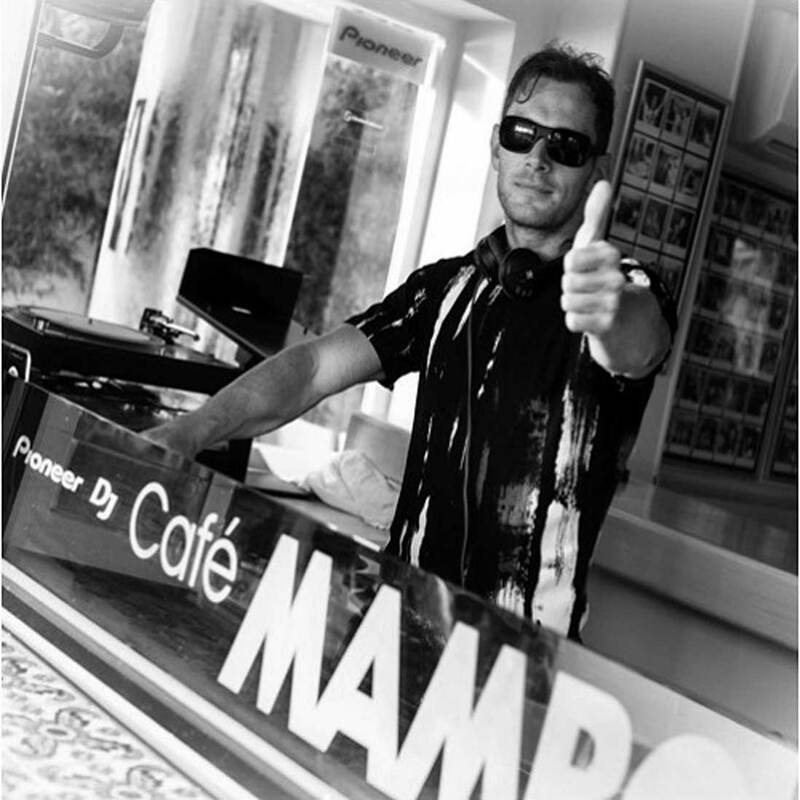 Prior Employment: Resident DJ Bora Bora, Hotel Es Vive, Bay Bar, Barcafé Tulp. Shared Booth With: Pete Tong, Fat Boy Slim, Duke Dumont, Bob Sinclair, Roger Sanchez, I am sure I have missed some but these are all huge names that meant a lot to me. 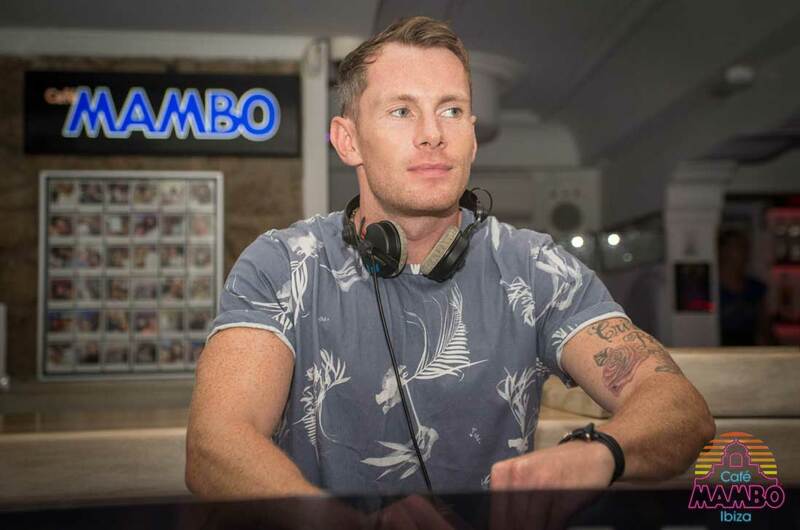 Working Week: it really does vary hugely, but given the nature of my job I do usually get finished far earlier than is normal for a DJ in Ibiza. Other perks of the job: I really do feel very lucky to be doing the job I do. But working here is more than just a job, it is being part of the Mambo family. Javier and Caroline have been so kind and encouraging. It was just one of those lucky chance encounters. I was standing in for somebody that couldn’t play their set at Savannah and Javier and Caroline heard me while they were having dinner. I guess they must have liked what they heard as Caroline came to talk to me afterwards and the rest as they say, is history. Musical taste/style: Obviously, what I play on the sunset strip is very different to my personal style. I think it is really important to always remember that although I have played so many sunset sessions, there will be customers at Mambo who are there for their first and perhaps only ever San Antonio sunset. Keeping that in mind ensures that you don’t get lazy or blasé. My own style is more towards deep and underground. I play that alter ego under the DJ name Nex Tone. I also produce my own music under Proof Recordings..
After work: I like Amnesia a lot. I have always been a fan of Cocoon and Music On, but I’m quite open to lots of different nights. At this point I have to confirm to readers that Danny really is a cool and humble guy. I don’t for a moment think he would brag about anything to do with the volume of female attention, but I mean we had to ask. Good-looking bloke, young free and single, resident DJ at the flagship venue on Ibiza’s sunset strip. I mean come on, ‘no requests’ my arse. Thanks to Danny O’Sullivan for being a good sport and all round decent chap. If you know somebody in Ibiza that you think has a better job than Danny’s please let us know.